Yes, I still have a bunch of posts to catch up on, but I'm into the last three or four. In June, I had a lengthy two-week work trip to Europe where I made a few stops, before my usual visit to Toulouse. I'm going to do this over a few posts, starting with a quick stop in Paris. The trip, so you know what's coming, was a couple of days in Paris for the Sierra Wireless Innovation Summit, a two day trade show we host every year. After that, i was headed to Copenhagen for a couple of days to meet with a Partner and do some customer visits. From there I had decided to spend the weekend in Nice, before heading to Toulouse for a week in the office. I arrived Monday evening, with the long leg from Vancouver to Paris, by way of Munich. I needed to stay up after arriving, and so I headed out to go for a quick walk and maybe find some dinner. I ended up meeting Bryan, my former boss in the lobby of the hotel, so we headed out together. The view from my hotel room. Paris is just so dense! A very cool building near our hotel. 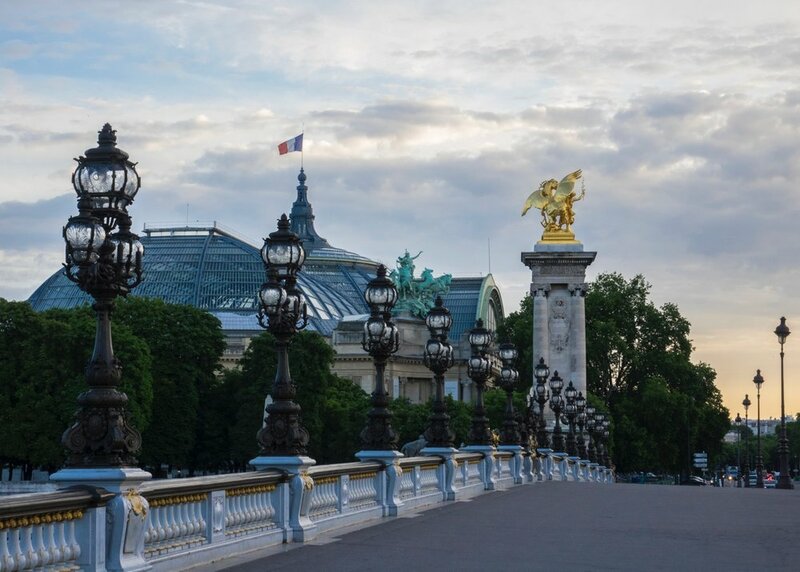 The event was being held at the Novotel Paris Centre Tour Eiffel Hotel, less than a kilometer from the Eiffel Tower, so as the sun was starting to set we decided to head that way. It was a beautiful night, and the walk did me a world of good. I wasn't up for much adventure that night, so Bryan and I grabbed some dinner and I called it a night pretty early. The sun was coming up as I went for my run. Tuesday was pretty uneventful. I was up early and went for a quick run along the Seine as the sun was coming up; it was quite beautiful. Other than that we had a full day at the conference, and I didn't wander far for dinner that night. Nice light, what else is there to say? Wednesday I had a flight to Copenhagen in the early afternoon, but I wanted to make the most of my last day in Paris. So I got up at first light, and headed out for a walk with my camera. I walked down the banks of the Siene towards the Eiffel Tower, as the sun started creeping above the skylinbe. I crossed over the river at one point, and continued along. 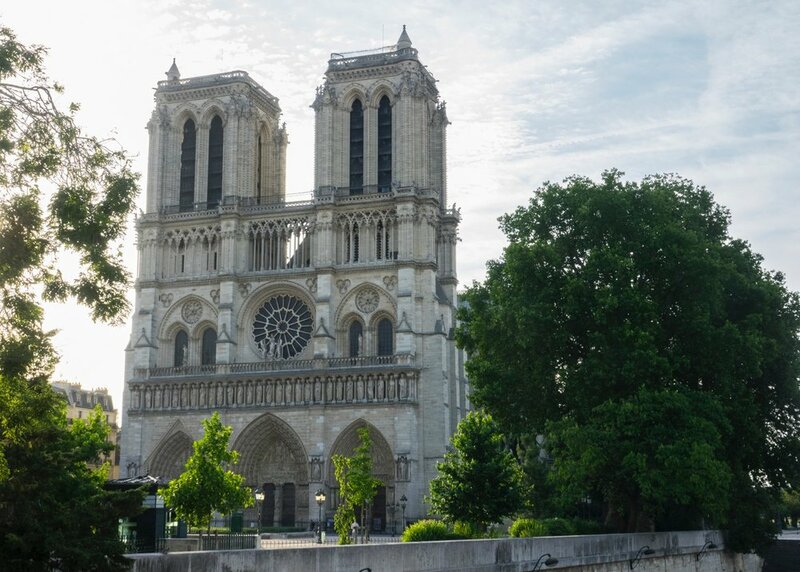 I had a thought of walking all the way to Notre Dame, and then taking the subway back, and my initial judgement of the time made it seem like that would work out. 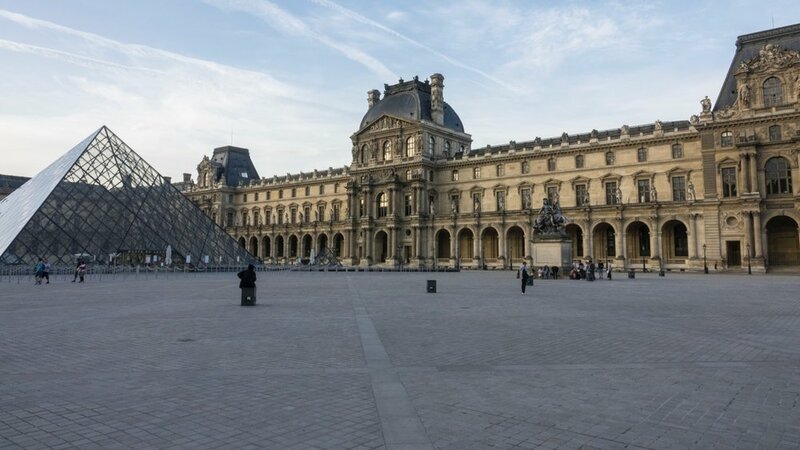 My walk eventually led me to the Louvre (as all walks in Paris inevitably do for me), and while it was too early for it to be open, it did give me a chance to walk around the outside of the building, and enjoy mostly uninterrupted sightlines around the building. I know not everyone does, but I love the pyramids in the courtyard. The original buildings that make up the Louvre are spectacular. After wandering around for a bit, I crossed back across the river over the Pont Neuf and headed onto the Ile de la Cite. From there it was a quick look at Notre Dame, and then back onto the Metro back to the hotel. I needed to get checked out and back onto the Metro, to head to the airport. The view towards the Ile de la Cite. You can see Notre Dame in the distance. The trip to the airport is pretty long, and my flight to Copenhagen was pretty uneventful. I arrived mid-afternoon, and was my by Torben, one of our partners, He was taking me north of Copenhagen to Fredensborg, where his office is located. It's a very small town, but also happens to be where the summer palace for the Royal Family is located. The hotel I was staying at, Fredensborg Store Kro, was a stone's throw from the gates of the Royal Palace. He dropped me off at the hotel, and I had an hour or so before dinner to wander and get settled. I briefly walked up to the palace (the Royal Family was elsewhere, so you could actually walk around), but we were meeting for dinner and I need to get back. More on this part of the trip in my next post.